As such, a growing number of people are embarking on a personal quest with the aim of finding answers. This can be referred to in various ways; the spiritual path, the journey to self-discovery, to self-awakening, the journey within or to personal transformation to name just a few. The process itself involves a certain amount of self-enquiry. 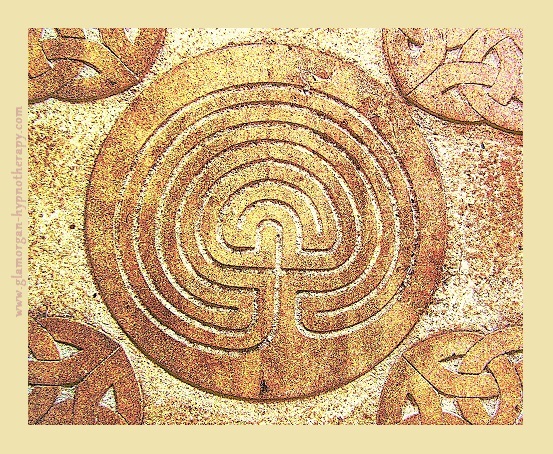 All manner of different strategies can be used; the common element being that previously accepted ‘truths’, belief systems, guidelines and rules passed down from generation to generation via the collective group of people who raised, cared for and taught us are traced, acknowledged and re-evaluated. Over time, outmoded patterns of thinking and behaving are released and replaced by new, more relevant ways of being. This growing trend is, in my opinion, one of the most significant and liberating movements of our time. It means we no longer have to subscribe to ‘fatalism’; to adhere to pre-destined patterns and expected outcomes. It means rather, that we have the opportunity to become authors of our own life stories – masters of our destinies. It also means that we can alter the course of our lives at any point; even when we have previously believed it was too late for change. As exciting and liberating as this sounds, it is not always an easy or pleasant path to tread. It takes time, effort, persistence, and above all courage to move beyond the status quo into new and unfamiliar territory. For example, some distance into our journey, we may discover that living in accordance to one or more previously accepted ‘truths’ has prevented us from developing to our fullest potential as human beings. Once we are aware of something, we have the opportunity to change it. As our perspectives shift, our thought patterns and behaviours inevitably adapt, and we may begin to see people and situations in a different light. This can affect the dynamics and balance of power within personal friendships and relationships, work colleagues and other social and professional acquaintances. A mindful awareness of how and why any resulting ‘turbulence’ may be occurring can help here. We can ride the waves of change by ensuring we create an environment that supports our journey. This includes gifting ourselves with adequate personal space and time to fully integrate the transformations that are taking place. It may also involve actively seeking out others who are on a similar trajectory, either for mutual support, for more formal guidance, or both! Fortunately, there is an ever-expanding group of people who have already stepped onto this path and who offer support via one-to-one work or courses, workshops and retreats. There is also a plethora of written material, from books to online articles and blogs now available that can help. These teachers, supporters and guides do a magnificent job, helping us navigate the unknown and unfamiliar. However, there may be times when despite consciously acknowledging, desiring and working towards some change in perspective, habit or behaviour, there seems to be no way through or beyond a certain point. The path ahead, for some unfathomable reason, is blocked! LCH Practitioners work with the part of the mind that conscious thought or effort cannot control – the subconscious part – seeking firstly to ascertain and then to treat WHY a blockage has been created and is being maintained. This is a completely bespoke form of hypnotherapy that does not rely on scripts or pre-conceived theories, but works with individuals via a logical and systematic approach to resolve each unique situation. Once the cause of a blockage has been successfully treated, the path clears and the journey can continue. Something to bear in mind! It is important to recognise that a major part of the spiritual path or whatever other name or label one wishes to bestow upon this process includes taking full responsibility for ourselves, the choices we make and the outcomes of any decisions we have taken. LCH Practitioners therefore do not counsel, offer advice or provide any service other than to assist those who are clear and resolute about the changes they are seeking. Furthermore, whilst we offer a helping hand when needed, we can only assist when the desire to move forward is greater than the need to stay put and each individual is willing to work alongside us towards a common goal. We cannot, and do not offer a quick fix, a magic pill, or a happy-ever-after guarantee. After all, any individual’s journey is not ours to take. What we can and do offer however, is a genuine opportunity to update subconscious perspectives, to resolve the conflict at the root of any blockage and therefore to help clear the way so that the journey can continue.